Headlines, hot news, and conversation starters on June 27, 2017! 1 Luis Manzano's anniversary surprises for Jessy Mendiola just keep on coming! After spending the long weekend at the Solaire Resort for an anniversary staycation, Luis gave a super sweet gift to his girl—which brought her to tears. Everyone, meet Chewy, Jessy's new teacup poodle! So adorbs! 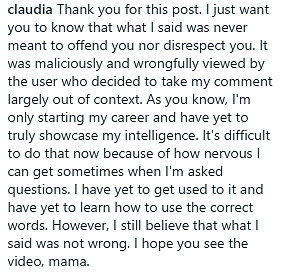 2 Gretchen Barretto and her niece Claudia Barretto have both apologized to each other via Instagram after a misunderstanding when Claudia allegedly referred to her aunt in an interview as "someone else." "I do not want my Claui to be bashed in any way. I beg for understanding & forgiveness," Gretchen writes on her lengthy IG post.